This panel provides controls to enter a position by its coordinates. 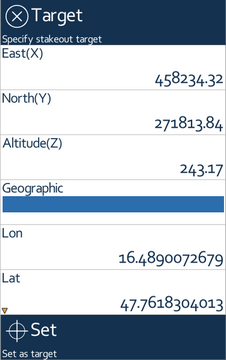 The position can be entered in the selected projection system or by latitude, longitude, height of the WGS84 ellipsoid. This panel can also be used to transform coordinates between these two reference systems.